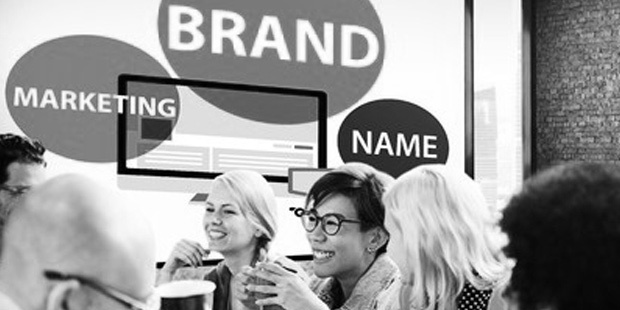 Branding is one of the most important aspects of marketing as it is what conveys a company’s identity. By conveying clear and consistent branding, your company will be well on its way to creating strong marketing campaigns. In order to create a strong brand identity, your company will need to take into consideration logo design, look and feel, and verbiage. To get started, first think about what you want your company to convey. Are you trying to create a serious luxury brand or are your trying to create something more fun. By identifying this, you will be able to better understand what values you would like to portray and how they should be incorporated through visual elements. When designing your logo, take into consideration the previous values that you have picked out. Your logo needs embody these aspects and represent them visually to your target audience. Ideally, your audience should be able to look at your logo and understand at a glance what your company is all about. Along with logo design, you will also need to create a consistent look and feel. Whether this is web design or packaging, you will want all of your visual elements to be clear and consistent with one another. To do this, pick out colours and font’s that match well with your logo that also stay true to your company’s values. Remember, just like your logo, the colours and typography that you select should give your audience instant insight as to what your company is all about. So choose wisely! The last thing you will need to do is choose your brands verbiage style. Are you wanting your company to sound upbeat and positive or serious and professional? By choosing a verbiage style that communicates your overall values your company will be creating a more consistent and readable brand. All in all, if your company can clearly communicate your brands values through logo design, look and feel, and verbiage, your company will be well on its way to creating a strong brand identity that will have great market success.